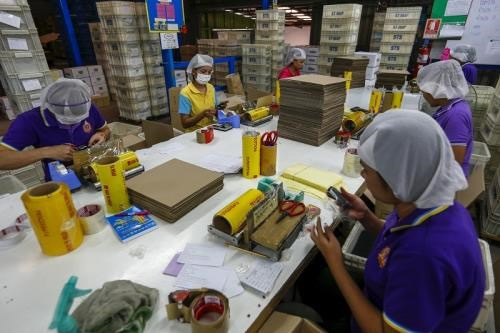 The freeze on the intake of foreign workers since mid-February has resulted in business losses estimated at 24 billion RM (6 billion USD), said Malaysian Deputy Prime Minister Ahmad Zahid Hamidi on June 16. In the plantation sector, the lack of foreign workers has led to nearly 2 billion RM in losses, Ahmad Zahid said, adding that 24 furniture manufacturers in Muar also closed down. The construction sector is also suffering from the freeze with delayed infrastructure projects. According to him, the ongoing freeze has hurt businesses in several sectors and is also eating into the government’s revenues. He also disclosed that the government has approved the establishment of a committee that will look at the immediate needs for the affected sectors./.